Is email monitoring legal? Talk about Email monitoring at work and privacy issue of your work email account. 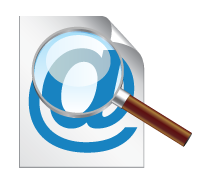 Do you want to know whether email monitoring is legal or not? If yes, what email policy should be implemented? Is there any good email monitoring software? Read the article below regarding email monitoring at work and you will find out the answer. Email is widely used because of its speed and ease of use and it can help people to communicate with each other all over the world . Email is also a common characteristic of the 21st century in work places during business hours. Meanwhile email monitoring is executed in more and more companies for various reasons. However, you may have a question that whether email monitoring is legal or not? Let's look into it. According to a survey by Quicktake in 2000, 42% of employers monitor their employees' emails. Now, a decade has gone and there is no doubt email monitoring software is deployed in more and more companies and organizations. Looking at the report generated by email monitoring software, employers can tell you if an employee is being productive or is wasting time on the company dime, or has leaked any confidential documents or plans that will cause big loss. Some more email monitoring software, like SurveilStar which can block or limit email usage with email filtering, is getting more and more popular among the employers and IT managers. In 1991, Nissan Motor Corporation fired two employees after they had been caught sending sexually explicit emails. The employees took Nissan to court (Bourke v. Nissan) claiming unfair dismissal and violation of privacy. However, since the company had an email policy in place and had explicitly stated that employees' emails would be monitored, the court ruled in favor of Nissan. The court ruled that the employer had a right to monitor an employee's E-mail and to terminate employees for sending E-mail of a personal, sexual nature. California's Wiretap and privacy laws did not protect employees from employer monitoring. In December 2000, Toyota dismissed the employees in September for the sending of pornographic images via email, and the storage of offensive images on PC hard drives and floppy disks. Senior Deputy President Ian Watson stated the sending of such images alone was a reasonable ground for dismissal. More importantly he added the employees should have been aware of the equal opportunity policies in place at the workplace, and must have seen electronic 'pop-up' messages that reminded employees of Toyota's policy with regard to internet and email usage. The policy warned employees internet mail messages were not private, and Toyota had the facility to retrieve deleted mail and transmissions may be monitored. With regard to offensive material, the policy also explicitly stated that 'under no circumstances shall Toyota's electronic communications systems (internet, intranet, email, telephone) be used inappropriately. The employee was fired for communicating unprofessional comments over the company's email system. The email allegedly contained threats to "kill the backstabbing bastards" in sales management, and referred to the upcoming holiday party as a "Jim Jones Koolaid affair". When the employee claimed that the company had violated privacy laws, the court concluded that no reasonable person would consider the interception to be a highly offensive invasion of privacy, and that the company's interest in preventing inappropriate or unprofessional comments or illegal activity outweighed any privacy interest. Courts have found that employers are generally free to read employee email messages, as long as there's a valid business purpose for doing so. Technology now makes it possible for employers to keep track of virtually all workplace communications including emails sent and received by any employee, so be aware of that you probably have no right to privacy in your work email account. Having read the contents above, you should have got a general idea and answer to this topic. Basically, email monitoring is legal, however, implementing a written email policy is encouraged, telling that their emails can be monitored and that they should have no expectation of privacy. Make sure that the email policy is properly communicated to all staff and that any updates are circulated amongst all employees. It is preferable to have employees sign the email policy, including any additions to it, to prove that the employee has agreed to abide by the rules. Under federal law the Electronic Communications Privacy Act (ECPA) allows companies to monitor employees' emails when one of three provisions are met: one of the parties has given consent, there is a legitimate business reason or the company needs to protect itself. Even though the ECPA requires a provision to be met, under federal law companies are generally allowed to monitor employees' email. However, companies need to be aware that this act might be subject to change. In July 2000 legislators proposed the Notice of Electronic Monitoring Act in which employers would be required to notify new employees of any electronic monitoring and provide annual notice to all employees. Employers that failed to inform employees of email monitoring would face civil suit damages of up to $20,000. SurveilStar email monitoring software can help you protect your company's data security by tracking and controlling emails sent and received, and let you trace inbound and outbound mails to minimize chances of data leakage and decrease the possibility of compromised business deals. In a word, SurveilStar email monitoring software gives your full control of monitoring emails, sending emails and receiving emails with flexible email policies. For example, some companies may need to limit the email sender, only allowing employees to use a specified internal mailbox to send mail, and sending emails using other mailboxes are prohibited. In this case, you can use SurveilStar Email Monitoring Software to create two policies. The first is to block all emails and the second is to set an "Allow" policy to specific sender, such as *@surveilstar.com. So that only the sender's email address containing *@surveilstar.com can it be sent out successfully. SurveilStar's more than an Email monitoring software. There are some more powerful features that can be also deployed in companies to improve employees' productivity and prevent data leakage. Surveilstat can provide statistics for emails, application usage, website visits, network traffic and more. You can block any applications, websites, devices, IM tools and many more. Also, real-time screen monitoring is available. You can also record all screen snapshots for later review. Surveilstar is outstanding and your best choice for email monitoring. SurveilStar provides flexible email policies for you to control all incoming and outgoing mails. You can set alert message when some one is breaking the rule. Meanwhile, you can set warning message to pop up on client computer. Besides, you can take actions, such as locking, shutting down, logging off the computer. SurveilStar also allows you to send a notification to all the monitored employees, telling them that email monitoring is being executed. In a word, SurveilStar is the best email monitoring software to help you monitor emails legally.